In the 1960s, California sweet potato growers faced a serious problem with russet crack disease of sweet potatoes. A program was developed by UC Davis plant pathologists to provide growers with virus-tested sweet potato stock. In 1995 the program was transferred to Foundation Plant Services. 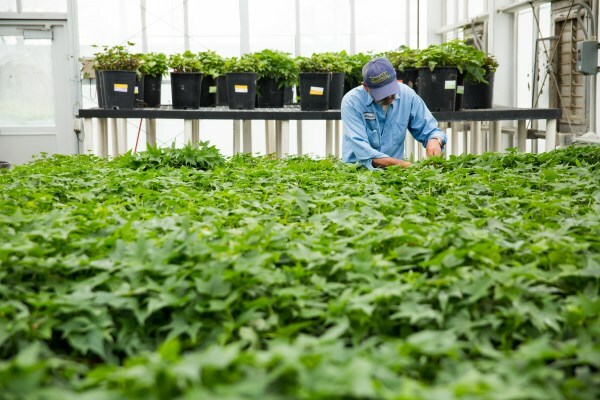 The collection of sweet potato mother plants is maintained as large, potted plants in a greenhouse. These plants originate from stock that is treated by tissue culture meristem shoot tip therapy to eliminate viruses and that subsequently tests negative for virus diseases. Each year FPS produces approximately 60,000 small rooted cuttings of this stock for increase by growers. 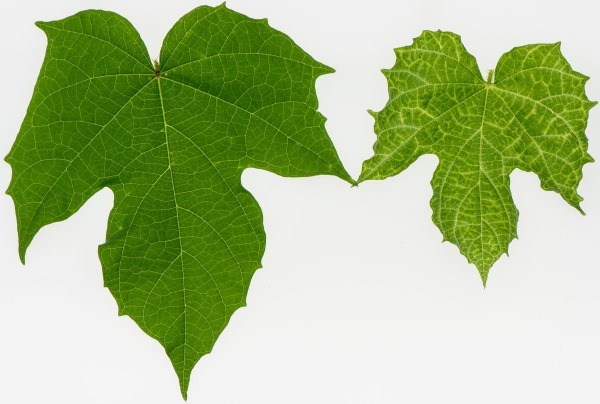 All cultivars are virus tested annually by 3 methods; 1) graft index onto Ipomoea setosa (Brazilian morning glory) 2) qPCR to maintain their virus-tested foundation status and 3) herbaceous host test. Graft Index: The graft index involves wedge grafting stem sections of the candidate plant into the indicator plant I. setosa. The graft is wrapped and the plant is covered with a plastic bag to maintain humidity high for healing. A minimum of 3 grafts must live for at least 3 weeks for the test to be considered valid. At three weeks, symptoms are observed. I. setosa plants are then pruned back and allowed to regrow for a second symptom observation. If no symptoms are observed, the candidate plant has passed the I. setosa index. I. setosa is a sensitive indicator plant of many sweetpotato viruses including SPFMV, SPLCV, SPVG, and SPV2. Common symptoms of sweet potato viruses on I. setosa are vein clearing, leaf distortion, leaf stunting and mosaic. The graft index requires approximately 6 weeks to complete. PCR: Quantitative polymerase chain reaction (qPCR) testing, also known as real time PCR, is a molecular test based on the nucleic acid sequence of known viruses and is done in the laboratory. Currently, FPS tests for the six viruses listed in the table. The list is periodically reviewed and updated as needed. qPCR testing requires approximately 2 days. qPCR testing is done on leaf samples of I. setosa plants 3 weeks after grafting. Experience has shown that qPCR testing detects viruses more reliably when I. setosa tissue rather than sweetpotato tissue is sampled. 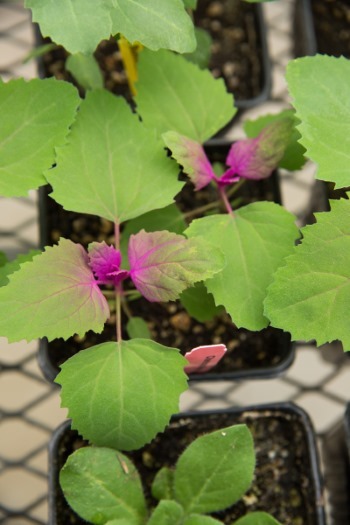 Herbaceous Host Test: The herbaceous host test is a bioassay that involves inoculating sap of the candidate plant to 4 species of herbaceous hosts: Chenopodium quinoa, C. amaranticolor, Cucumis sativa and Nicotiana clevelandii. These indicator host plants detect many viruses in many crops. The herbaceous host test requires approximately 3 weeks to complete. Viruses tested for by qPCR.